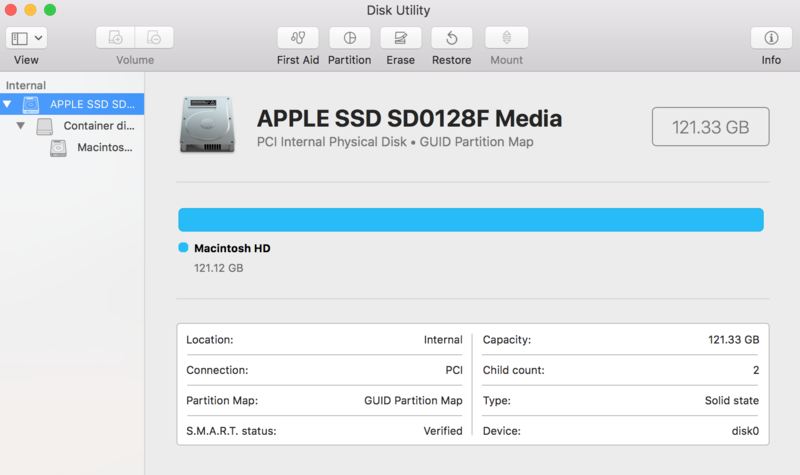 On a 120GB SSD hard drive in a MacBook only 70GB are available. 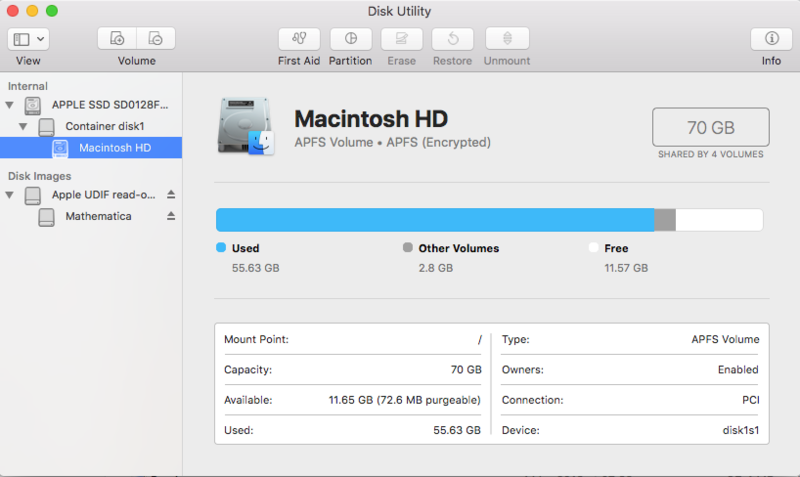 The missing 50GB are not even shown as free space. As you can see on the first screenshot the disk has 120GB. However, the partition chart on the same screenshot only shows 70GB. Also the other two screenshots show that only 70GB out of 120GB seem to be available. You previously installed Windows (or another OS) and deleted it afterwards - except an orphaned Apple_BOOT or 2nd EFI partition (disk0s3 - 134.2 MB). 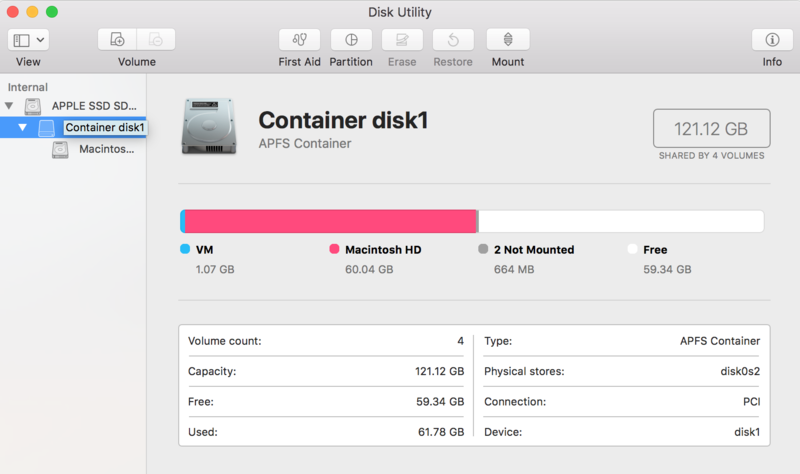 The 50 GB are simply unallocated disk space. The amazing klanomath, who posted the first reply guided me through the debugging process and we were able to solve the problem. At this point I would like to thank him for all the time he took to help me. The problem seemed to be that in the past I installed a different OS using Bootcamp, and after I deleted it Bootcamp failed to return the space that was allocated for it, so that 50GB of space got orphaned. One hint to this is is the volume disk0s3 that one can see on the first screenshot. This was probably the bootloader for the other OS. Probably it is a good idea to make a Time Machine backup before messing with the hard drive. The architecture of the hard drive is the following: disk0 is the physical storage, on top of it is the container disk0s2. This container accommodates the synthesized disk1, which, in turn, contains the volume disk1s1. 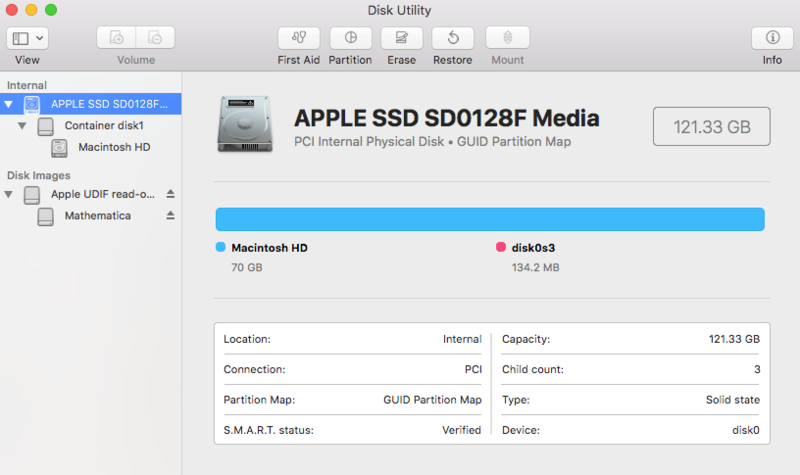 For some reason, when I booted into the Recovery mode my disk1 became disk2 and disk1s1 became disk2s1. Make sure you insert the correct labels. The commands diskutil list and diskutil ap list are helpful to single out the right ones. and enter your password. You don't need to lock it afterwards. and make sure there are no errors. The zero at the end is a magic number that makes sure the container is grown to the maximum. Verify the result with diskutil list and diskutil ap list. P.S. 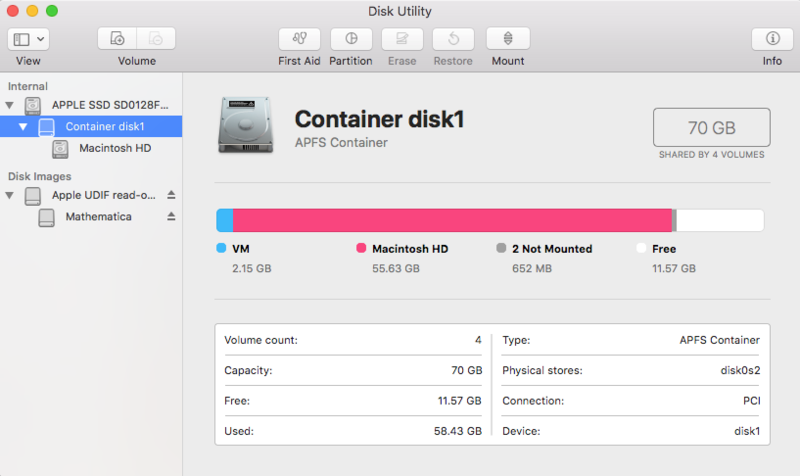 : At first I tried to grow the container from the operating system, and not from the recovery mode, and run diskutil ap resizeContainer disk0s2 0 in the terminal without any unlocking. This did not work and my computer froze except for the mouse, so that a reset via the power button was necessary. This was quite a scary moment! Not the answer you're looking for? 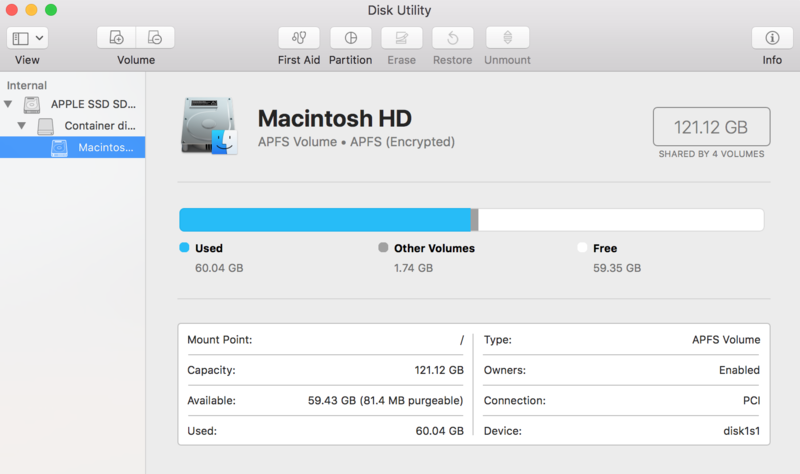 Browse other questions tagged hard-drive partition disk-space .